I need some help downloading images. I click on the image, and the larger image opens with the “download to demonstrate critique message.” I click on that, and nothing happens. No image in downloads, or on my desktop which is my browser default location for downloads. Thanks. Hi Tony, Same here, my workaround is… After I click on the “download to demonstrate critique message”, I move my mouse over the image and then do a right-mouse-click, the mouse drop down menu opens, then select ‘save as…’, this opens the finder window, whatever you select is where the image will download and save to. I am on a Mac. Tony. I’m on a Windows machine and it works the same way Fritz described. Just right click and you get the selection menu to let you copy or save. I usually just save to desktop so it’s in my face and I remember to delete it after I’m done. I can download per what Dennis and Fritzimages said, but I prefer to do a custom screen grab (I have programs to do this on a Mac -built in a Mac and PC - snipping tool on Windows) and it puts it to the clipboard. I can then just open a new image in PS, create and edit/paste. No file to go back and delete later, because it is never saved to my drive. I’m not sure that is the best way. If you download vs Screen Snap, the download will have the color space that was originally uploaded. It could be Adobe RGB. A screen snap will only put it into an Apple or Windows color space and I don’t think it is sRGB until you open in post-processing app. I am not sure. I am new here, maybe the webmaster has written documentation on the color space workflow/recommendations. I have not been able to find it though and sent an email asking for info. As you may know, you need to set PS CC19 and Lightroom to certain color space parameters for best performance using TK actions. At the moment, I am assuming the downloads are in Adobe RGB, then I have setup CC19 per Bagshaw’s specifications, I’ll make edits in CC19, then use Save As with Adobe RGB color space and upload to NPN. I keep the color space through the entire process the same and don’t bounce around. With that being said, I have noticed that many images that I have downloaded to edit seem to have been squashed into the sRGB space (out of gamut colors especially saturated reds and greens) that may have okay in the large Adobe RGB space. Making me believe the maker started in ProPhoto or Adobe RGB and that after uploading to NPN the site chooses to put an image into sRGB. I don’t really know, just assuming. I suppose I could run some test charts using separate color spaces, upload, then download to see how NPN processes colors. I’d like to do any edits in the same color space as the maker, make my edits using the color space recommendations of TK actions and then save and upload in that same space to NPN. It’s the correct thing to do. Running in desperate color spaces could create incorrect decisions and crits. @Tony_Siciliano you should be able to just right click on the link and select save link as or something along those lines. 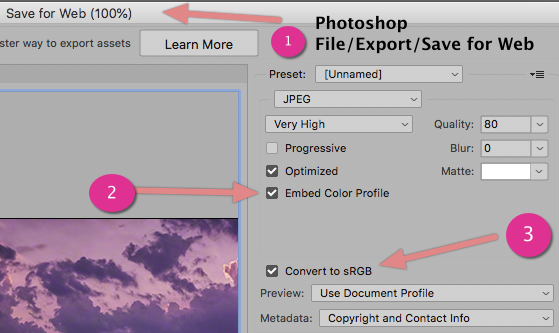 NPN doesn’t convert color spaces, it uses whatever you upload, if I could I would convert them to sRGB because it is the only way to ensure your images look okay in all browsers. You will see little to no difference when you convert. You should also embed the color profile. thanks for the response…I did read the faq/guidelines (got my badge) but I must have read over it to quickly. However the color space browser settings for the web have been evolving and I don’t fully subscribe to the sRGB for web as gospel anymore and was not sure if NPN had also. 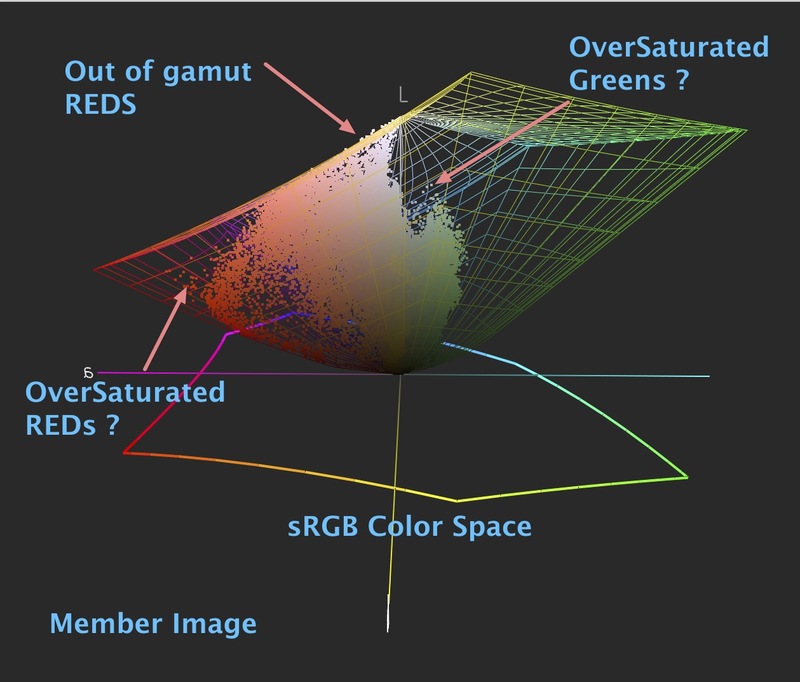 Most people today have monitors and smart phones which cover the Adobe RGB gamut. However I see your point about the current web standard for the typical viewer. 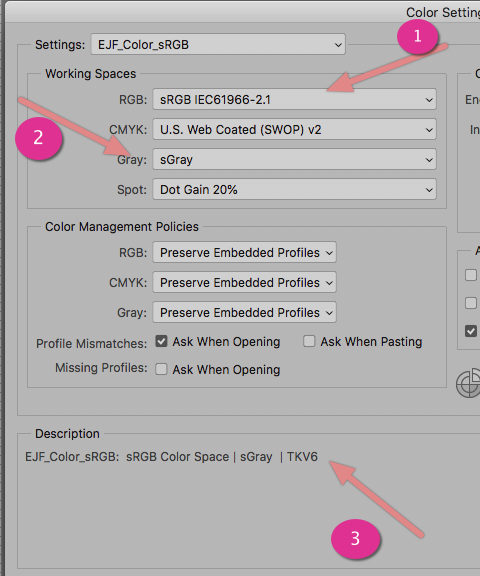 I am content to know that NPN does not convert color spaces and that the color space work flow is in sRGB along with embedding the color profile.